Save on our Everyday Low Prices! you save an Additional 7%! Plus, Free Metal Roof Upgrade on Wood Models except Eagle Ridge! Professionally, Custom-built Garages & Storage Buildings. We are Insured and State Licensed! Verify our state license HERE . If you would like a salesperson to contact you, please click HERE . that meet Conestoga Builder’s superior standards. included as standard equipment at a savings of hundreds of dollars. Concrete slab available for all models. For installations outside the metro Atlanta, Georgia area, click HERE . 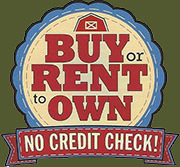 NOTE: For our Rent-to-Own buildings, click HERE . The Strawberry Ridge is ideal for either a garden or gate house, home office, upscale storage building, weekend retreat, pool house or workshop. The smaller 10' wide model makes an extraordinary garden shed; add a partial loft for extra space. Variations on this theme are also available! Strawberry Ridge Pool House with porch. French doors and ramp on side. Leveling: Leveling up to 18" is included; there is a nominal fee for leveling exceeding 18". Note: Leveling is accomplished by placing 4" cap blocks on the high part of the building site and 8" concrete blocks on the low end. Blocks for leveling up to 18" are FREE! Support System: Building will be supported by 3 each 4"x4" pressure treated beams; 4 each beams are used on 16' models. Floor Joists: Pressure treated 2"x6" joists spaced 12" on center. Flooring: Heavy duty 3/4" Pressure treated plywood. Roof Rafters: 2"x6" number 2 white wood spaced on 24" centers. Exterior Siding: ABTCO fiber cement stucco-like siding. The primed 1/2" siding has a FIFTY YEAR LIMITED WARRANTY. Siding upgrades are available. Enclosed Soffits: Approximate 9" overhang with enclosed soffits and continuous 2" aluminum vents. Shingles: CertainTeed Traditional shingles, the professional choice. Shingles are warranted for 30 years. Roofing Shingle COLORS . Double french doors, 15-lite with inswing, standard. 9-lite and/or outswing extra. Ventilation System: Under-the-eve and ridgevents. Save Hundreds of Dollars; bring in online competitors' best price & Conestoga will beat it! vents and ridge vent, and 3/4" heavy duty pressure treated floor. Prices include double French doors! Octagonal window, extra. All Prices are TAX INCLUSIVE! Add a 4' porch by extending the roof line. Ask for a quote. Includes 4' loft over porch, deck, rails, safety balusters, and steps up to the porch.